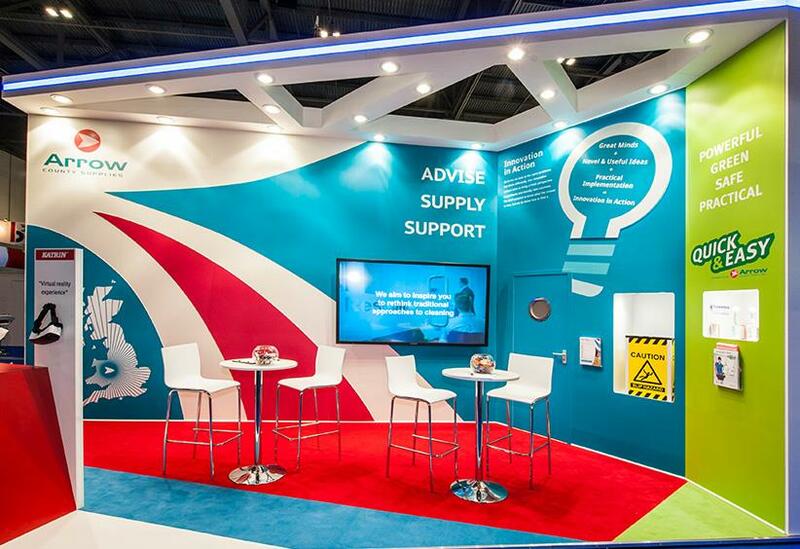 If your budget was limitless you would have the biggest bespoke stand in the venue that takes up half the exhibition space. But you’re not there yet. You only have enough budget for a shell scheme. However, that doesn’t have to mean that you can’t do well at your chosen event or exhibition. Right from the beginning, question if this event is right for your brand. Are your competitors there? Are your target customers there? It’s better to pay more to be at the one show that’s right for you rather than lots of cheaper, smaller, more niche events that aren’t relevant to your business or customers. Also consider your budget. Exhibiting is expensive, so be sure you will get a return on investment. You want as much floor space as you can afford, but paying for the exhibition space itself should only account for around a third of your budget. Design, staffing, logistics, utilities, furniture, promotional items, name cards etc. also need to be thought out. Then, think about your objectives for the show: what do you want to get out of exhibiting? Work on some SMART (Specific, Measurable, Achievable, Relevant and Time-bound) targets for the event. This should then dictate what you need from your stand. Choose your location wisely. Think about traffic and in which direction it flows, then organise your stand to reflect that. Don’t clutter your shell scheme with additional panels or furniture – use prints that fit well on the walls to save space and make your booth look professional, impactful and inviting. Note that a basic shell scheme package will usually include walling, a fascia, carpet, a name board and sometimes electrics too. Like moths to a flame, people are drawn to light. If your shell-scheme is well-lit then it will catch the eyes of those passing by. Just adding something as simple as wall lights to brighten and highlight your wall prints or funky lamps can make all the difference. Don’t fall into the trap of thinking that making the most of your space means cramming in as much as possible. 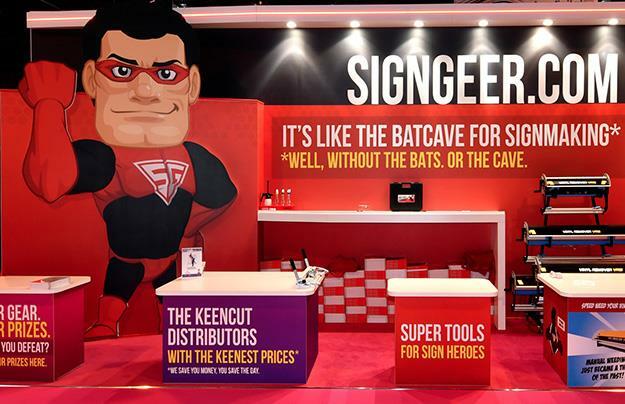 A bright, spacious stand is inviting, whereas a busy, cluttered stand isn’t. Only include furniture that you actually need. And think about storage: where will the handbags and laptops go? If you’re not going to put effort into design and plan on just sticking up some posters on the wall, you might as well not bother going to the exhibition at all. You stand should reflect your brand, no matter how big or small. Reusable printed foamex panels are perfect for turning a shell scheme into a custom stand. Make sure your printed panels are high-quality and fit perfectly to the spec of the shell scheme walls. The perfect graphic panels are light-coloured with bold images and a bright brand colour that catches the eye. 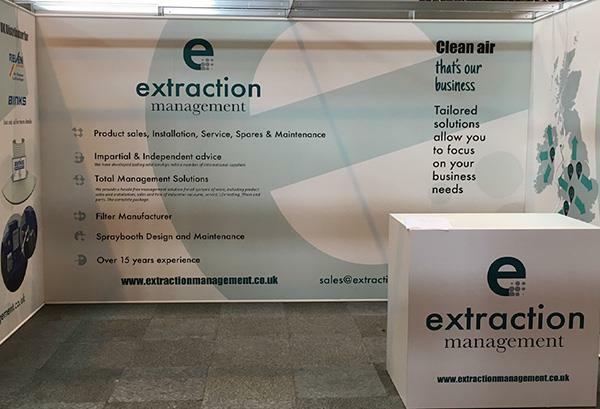 Then again, the stand reflects the brand, so your panel design should be consistent with all your other branding, from product labels to website design. It may be tempting to convey as much information as possible about your business by plastering different products or services on the walls, but keep it simple. Text-heavy panels or those filled with loads of different images will make the space appear busy, cluttered and small. Think about your marketing message: a simple ‘elevator pitch’ sentence that defines your brand quickly, clearly and effectively. Now, convey that through your stand design and nothing else. You can go into more detail through literature or face-to-face conversations when a visitor approaches. Of course, ultimately your success at an exhibition is not defined by how your shell scheme looks, but by the quantity and quality of people who will see and visit it. 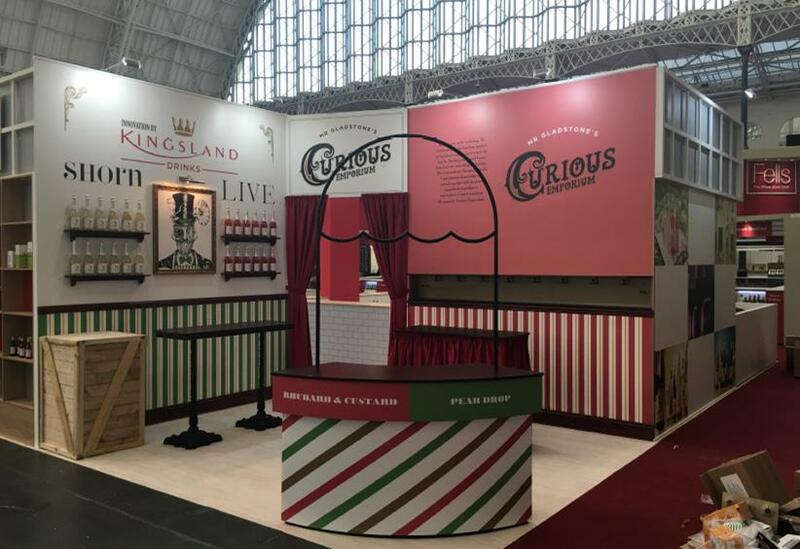 Start by keeping your current customers informed in the run-up to the event, announce that you’re exhibiting, invite them along and work on the chance to engage with them there. Also, make the most of event support: add your business profile to the event brochure, app and/or website. Email back and forth with organisers and engage with the venue and exhibition accounts on social media. Does the event have a blog or an email newsletter? Would they be interested in featuring your brand on there if you asked? Why not even take the opportunity to research and reach out to other businesses exhibiting at the event. Say hello to your stand neighbours, contact potential business connections ahead of the event to arrange a meeting or a chat on the day, and network online with other attendees. These are just a few ideas on how to get the most out of your shell scheme. For more information on shell scheme panel design, take a look at the Services section of the StandOut Graphics website, particularly Foamex. 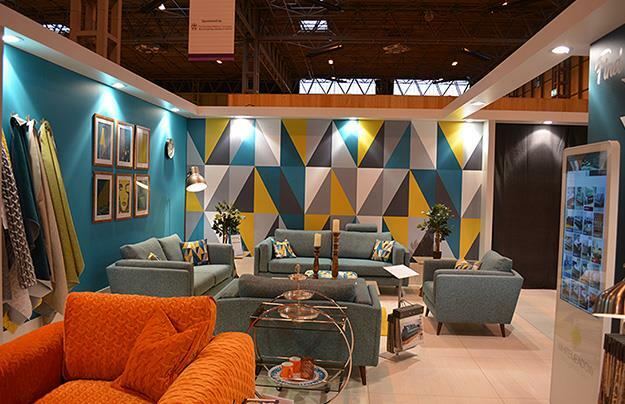 We’d love to help you make the most of your shell scheme at your next event. 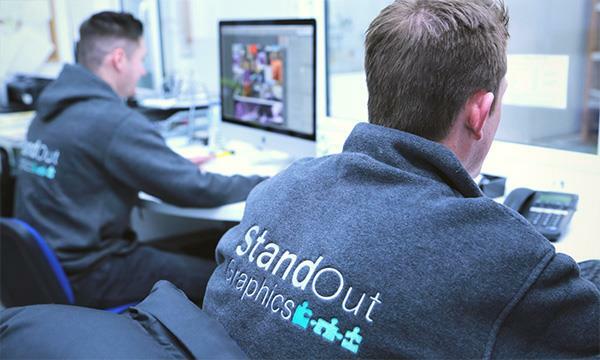 We make your graphics stand out.